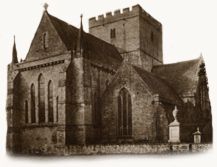 Parish Registers are records of baptisms, marriages and burials made by the church. Because the census and official records do not go back further than 1837, these records are an invaluable resource for your research. To trace an ancestor, you will need to know where they lived and the church they went to - Parishes correspond quite closely to villages of the same name. Whereas a rural parish may include a small village and two or three hamlets, there will be many parishes in the city, so you would need to determine in which your family lived. 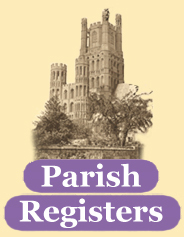 We offer information about Parish Registers and expert advice on where to view Parish Registers - this includes a short history of Parish Registers, the difference between viewing them on CD and using a web-based service, and some related sources and links which could be of use to you.